There are numerous suppliers of self managed superannuation funds (‘SMSFs’) deeds apart from law firms with SMSF expertise. These days, for instance, there are a range of other (non-qualified) suppliers who supply SMSF deeds. These suppliers may deliver complex documents without any qualifications or expertise. This article seeks to explain the main differences that should be considered when obtaining an SMSF deed from an SMSF law firm compared to other (non-qualified) suppliers. SMSF administrators, advisers and off the shelf suppliers. Typically, these suppliers do not have any significant technical or legal expertise in respect of drafting legal documents such as deeds and simply print and bind documents that have been prepared by others. Some of the documents supplied may have once been prepared or reviewed by a lawyer but it might be questioned whether that lawyer had any relevant expertise and also query when the lawyer actually undertook a review and what parts of the documents were actually reviewed. As superannuation and tax laws are undergoing constant change, SMSF deeds should also be subject to review on at least an annual basis, preferably by lawyers who are SMSF experts. Web-based suppliers that are, broadly, much the same as off the shelf suppliers which simply supply documents. Some may claim that their documents are constantly kept up to date and make claims that their documents are signed off by qualified lawyers. However, extreme care is required when dealing with web-based systems as they generally require the user to enter data that hinges on legal analysis of the parties required to make an effective legal document, what conditions must be satisfied to effect a valid variation and other judgements that require a degree of knowledge that is best found in a lawyer. These systems produce standard documents almost immediately after the data has been entered without any supervision or review by a qualified lawyer. Moreover, in recent times, some of these suppliers provide a subscription service that allows a user to prepare as many documents as they like for a monthly or periodical subscription fee. Advisers need to be aware that using these systems exposes the adviser directly to numerous risks including the risk of criminal sanction and other contraventions as explained below. In recent times, many non-qualified suppliers provide a web based portal and advisers and end user clients are not aware of what is performed in the background. While some law firms provide a web based portal, the good quality law firms like DBA Lawyers have the documents reviewed and approved by a lawyer before finalising the documents. 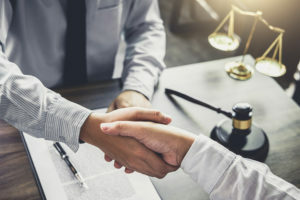 For example, a lawyer should undertake the usual checks especially to ensure the deed is varied in accordance with the variation power in the prior deed and each relevant person or entity that must consent to the variation is made a party to the deed to ensure a valid variation is affected. DBA Lawyers’ experience has shown that many documents from non-qualified suppliers do not stand up to legal scrutiny and are defective, thus leaving clients ‘skating on thin ice’ when it comes to relying on, for example, a binding death benefit nomination (‘BDBN’) on a deed that has not been validly varied. As discussed below, there is unlikely to be professional indemnity insurance available to the adviser who prepared the deed and BDBN. The adviser preparing the documents would need to claim against the supplier who may then need to claim against the preparer of the document (which may be a law firm that has licensed the document to the supplier). However, advisers and end-users should not assume that professional indemnity insurance is available as a non-qualified adviser or supplier undertaking legal work is generally not covered. Further, some non-qualified suppliers may not have any insurance. Indeed, a recent check on the terms and conditions of use (or disclaimers) issued by a number of non-qualified suppliers revealed that they claim to provide information only and not advice and seek to expressly exclude the fact that they provide legal advice or documents and typically recommend that legal sign-off be obtained from a qualified lawyer that the user engages at additional cost before any document supplied are used. These claims are interesting as many non-qualified suppliers are purporting to supply legal documents and then disclaim responsibility requesting the user to accept all risks and to obtain their own legal sign-off. This also occurs by some suppliers that claim their documents are licensed from a law firm. Despite these types of hurdles, users are typically driven by low costs and may not be driven by quality or value. It is therefore not surprising that obtaining documents from a non-qualified supplier without any review or professional negligence insurance, has increased in popularity in recent times. Many users fail to comprehend that an SMSF deed supplied from an SMSF law firm may represent far better value considering that each deed is drafted and signed-off by an SMSF lawyer and is backed by insurance. Such a document from a qualified law firm can reflect great value when the service being provided by an SMSF law firm is vastly different to a non-qualified supplier. Broadly, the supply of SMSF deeds in Australia is in certain respects like comparing someone getting their teeth fixed by a backyard mechanic rather than by a qualified dentist. While not many people would ever consider getting their teeth worked on by a backyard mechanic, they are ignorant of the complexities, traps and risks associated with using legal documents supplied by a non-qualified supplier. We are aware of expensive litigation that has resulted from poorly worded deeds and deeds that have not been validly varied by non-qualified suppliers. One of these matters resulted in a substantial death benefit being paid to the wrong person. Moreover, our experience has also shown that some advisers obtain deeds from non-qualified suppliers so they can ‘pocket’ extra fees that would otherwise be paid for a quality deed. Indeed, we have come across numerous advisers over many years who have never reviewed the quality of the documents they obtain for their clients. Despite this advisers provide their implicit endorsement that the document they select is appropriate and fit for the client’s use and purpose. Indeed, a professional firm’s selection of a particular supplier by itself is a recommendation to a client that the particular document they select for their client is fit for purpose and that this choice constitutes (implicitly) legal advice. With this background in mind, we will focus the remainder of our article on non-qualified web-based suppliers offering online production of superannuation deeds of variation (‘SDVs’). While we focus on SDVs, a range of other documents, some that may appear innocuous (eg, a BDBN, a bare trust, a family trust and a family company), where the adviser prepares the documents from a non-qualified supplier also constitute legal services that accountants and other non-qualified legal advisers should seek to avoid. While web-based suppliers initially appear attractive, care must be taken, as such services carry a number of significant risks. Advisers who are not legally qualified with a current legal practising certificate are therefore taking substantial risks. Such advisers could also be placing their clients at considerable risk and in breach of the law. A person can only undertake legal work for reward if they are an Australian legal practitioner. The penalties for breach of this prohibition are substantial. (b) to protect clients of law practices by ensuring that persons carrying out legal work are entitled to do so. (1) An entity must not engage in legal practice in this jurisdiction [Vic], unless it is a qualified entity. Penalty: 250 penalty units or imprisonment for 2 years, or both. (2) An entity is not entitled to recover any amount, and must repay any amount received, in respect of anything the entity did in contravention of subsection (1). Any amount so received may be recovered as a debt by the person who paid it. The two offences above carry a maximum $40,297.50 penalty (250 x $161.19) as one penalty unit under the Monetary Units Act 2004 (Vic) is $161.19 for FY2019 (these figures are indexed periodically). Also a non-qualified entity or person engaging in legal practice could also serve up to 2 years imprisonment. It should be noted that NSW has adopted the Legal Profession Uniform law. Legal work includes the preparation of a document which affects legal rights and that is tailored to the particular needs of another person. In our opinion, the preparation of SDVs satisfies this definition. An SDV imposes duties on the trustees, regulates the rights of beneficiaries and possibly other parties. Furthermore, the deed defines the relationship between the trustees and members, and therefore affects their legal rights. Under many web portals, the entity or person preparing the SDV documents is the adviser who enters the data and makes the legal decisions as to which parties need to be added, etc. The preparation and tailoring of an SDV for a particular SMSF is substantially different to the insertion of the names of the parties to a standard legal form. The case of Legal Practice Board v Computer Accounting And Tax Pty Ltd  WASC 184 highlights the risks associated with advisers preparing or varying SMSF deeds especially via the web. In this case the accountant merely inserted the names of the trustees of the fund and some other basic details in the SMSF deed to establish a new fund. It was not a defence that the pro-forma deed had itself been drafted by a lawyer as the adviser’s insertion of the parties and other details constituted legal work. (1) An entity must not advertise or represent, or do anything that states or implies, that it is entitled to engage in legal practice, unless it is a qualified entity. 3.11 Preparation of Legal Documents Members must not carry out work which is required by law to be performed by legal practitioners.Commentary Legislation in various jurisdictions prohibits unqualified persons from preparing legal documents and Members should ensure that they do not contravene these laws. If in doubt, refer the client to their solicitor or, if appropriate, obtain the client’s approval to instruct a solicitor. A member of the Financial Planning Association (‘FPA’) commits an offence if the member ‘is found guilty of any breach of the law punishable by imprisonment of more than six months’. Despite legal work being prohibited we are aware of certain professional bodies that encourage their members undertaking legal work as these bodies receive advertisements and sponsorships towards educational events and professional publications at which they advertise in their services. Members of other professional bodies should carefully inspect and abide by their rules of conduct. There are sound reasons why these professional bodies have tried to limit what their members are competent at doing and prohibiting conduct that others are qualified to do. In particular, many advisers use the web-based system to undertake legal documentation work and generate income from what is clearly legal work. Most professional indemnity insurance for advisers (other than lawyers) excludes cover for services that a lawyer must undertake. Therefore, when an accountant, financial planner or consultant provides something amounting to legal work, they may void their professional indemnity insurance cover and find themselves exposed to beneficiary claims without the benefit of insurance. If SMSF trustees become subject to a legal or regulatory action, then the deed will be closely scrutinised. Typically, legal action arises in such instances as death of a member, divorce or regulatory investigation or audit. There have also been many disputes between family members and business partners in respect of SMSFs that depend on the validity of the fund’s deed. A BDBN that was drafted to ensure that a member’s death benefit was paid to his children, rather than to his second spouse, was void as the variation did not have the employer’s consent as required by the variation clause in the prior deed. We also regularly come across deeds which have wording in their BDBN clause that provide the nomination is only binding if it is to the trustees’ satisfaction. Typically, this is the surviving spouse and may not be an issue but if it is a second spouse they may say — “I don’t like this”, and the BDBN is treated as not binding on them. A lifetime pension strategy designed to obtain ‘grandfathered status’ was not effective as the deed update introduced new terms and conditions to the pension rather than merely preserving the existing terms and conditions. Valuable Centrelink concessions were also lost. An SMSF that obtains a stamp duty exemption on the transfer of dutiable property to the fund provided certain clauses in the deed were inserted. However, the person varying the deed replaced the deed without retaining the specific stamp duty clauses and a substantial stamp duty liability arose from the SDV. 6. Have you been misled? In view of the serious risks discussed above, it seems misleading to suggest that undertaking an SDV via the web is simple, quick and cost effective. Non-qualified, especially web based, suppliers fail to point out the serious risks involved and some represent that an SDV can be undertaken by non-qualified persons that could result in misleading conduct under the Australian Competition and Consumer Act 2010 (Cth). Furthermore, some non-qualified suppliers may also be liable in negligence if they fail to recommend that users obtain legal advice and sign-off by a lawyer to ensure that any documents created by the user are valid. Advisers themselves are also likely to be negligent should any document not be valid as measured by the competency of a qualified lawyer who would typically undertake such work. While the provision of documents from non-qualified suppliers may initially appear to be a simple and straight forward method, there are numerous serious risks involved. This could expose advisers and end-users to substantial risks, undermine trustee actions and have many long-lasting consequences. Non-qualified suppliers should be required to disclose these risks to their users (typically advisers) and the ultimate end-user consumer (the many ‘mum-and-dad’ clients who act as SMSF trustees/directors). This disclosure should ensure that users can then make an informed decision rather than being misled that such documents have been prepared and signed-off by a qualified lawyer. We provide this article as a general guide only. It is no substitute for expert advice.